Last week the Qantas Rockpool Sommeliers were hard at work blind tasting more than 1,500 Australian wines to choose the best drop. Which, if you ask us, sounds like they’re living the dream. 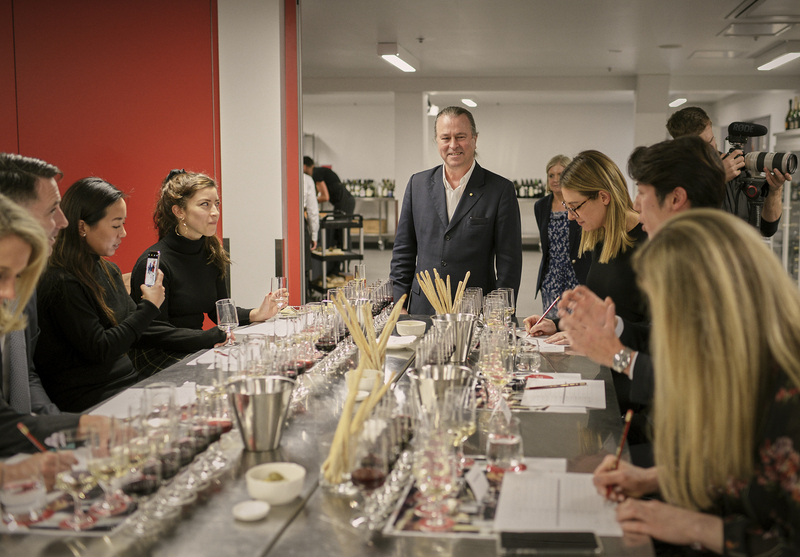 Last Thursday night, they had it narrowed down to five whites and five reds for a special blind tasting hosted by the airline’s creative director of food, service and beverage, Neil Perry and the Rockpool sommeliers for a group of select Frequent Flyers. Oh, and us! We were there too! After much fiery deliberation, the group chose the Voyager Estate Chardonnay, Margaret River 2015 and Oliver’s Taranga Shiraz, McLaren Vale 2016 as their top picks. While attending the event, we learned one thing: Qantas loves wine. In fact, they invest nearly $35 million dollars in the Australian wine industry every year. Plus, Qantas customers drink their way through five million bottles of wine every year. Which is now a new life goal of ours. To find out more about Qantas’ wine program, we cornered Perry to demand a refill. He told us that some of the wines chosen are also sold retail so if a passenger likes the wine being served on board, they can buy a bottle, or six, to take home with them. “That’s one of the nice things about Qantas’ wine program, it’s the third biggest buyer of Australian wine,” Perry said. Apparently, testing delicious wine isn’t all the celebrity chef and restauranteur does with his time. Perry also recently collaborated with scientists from University of Sydney’s Charles Perkins Centre, to help reduce jet lag for long-haul flights. Perry said there is a whole range of factors that contribute to reducing jetlag, but it’s also about attitude. “We think the people from the research who fared best were the people who had the right attitude about getting into the time zone,” he said. “We also do a lot of combination of protein and carbs and grains which is really about creating the tryptophan which helps bring on melatonin. “The more melanin you have the more the brain will tell you its sleep time so we try to create food that would help tryptophan bring on the melatonin. But the real kicker seems to be hydration. “Wine is great and I’ll always drink five glasses on the way to London but the wisdom is more hydration,” Perry joked. Perry’s next mission will be the big one: Project Sunrise. The celebrity chef will be working on making the airlines next ultra long-haul flight more bearable for passengers. “Project sunrise is the longest of the long haul,” he said. “We are the last place on the planet that really finds it difficult to fly to other continents in one hop. “It really changes the way we think about long-haul flight but were also working on what that means for the traveller. So 17 hours means one thing but what does 22 hours mean and what does that mean with seats, with lighting, with food, with water, with the configuration of the aircraft? After tasting some of the wine on offer last week you’d have more trouble getting us off the flight than convincing us to fly. We’ve collated all the latest updates in the Red Centre into one big story. And by “collated”, we mean cut and pasted the media release. Is this adorable picture of Alan Joyce TOTALLY necessary? Probably not. Did it make our morning a little brighter? You bet. 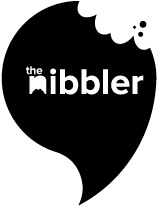 The Nibbler recently developed its own points system for staff, with 100 on offer today for whoever can do a headstand the longest while holding a cup of tea.